There are many definitions for the word priesthood. 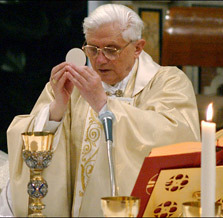 But in Catholic Church priest is one who offer the sacrifice of the Mass. It is very important that the sacrifice of the Mass be offered from every altars around the world until the end of time. Therefore it is important to pray for the priest and below is a wonderful prayer by St. Therese of Lisieux. keep your priests within the shelter of Your Sacred Heart, where none may touch them. This entry was posted in Prayer and tagged catholic priests, God's annointed, prayer for priests, priesthood, priests, Servant of god, St therese, St. Therese of Lisieux. Bookmark the permalink.